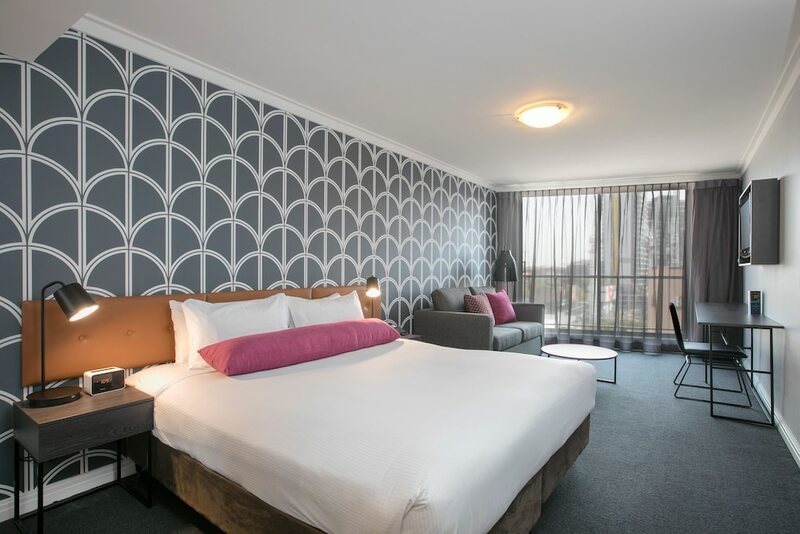 Located in Sydney Central Business District, this apartment building is steps from Capitol Theatre, World Square Shopping Centre, and Paddy's Market. Market City and Chinatown Night Market are also within 5 minutes. Capitol Square Light Rail Station is only a 2-minute walk and Paddy's Markets Light Rail Station is 4 minutes. WiFi in public areas, self parking, and laundry facilities are available at this smoke-free apartment building. WiFi in public areas is free. Additionally, a 24-hour front desk, limo/town car service, and express check-out are onsite. Each apartment features a kitchenette with a refrigerator and a microwave, plus WiFi and a flat-screen TV with cable channels. Wired Internet, a coffee/tea maker, and free newspapers are among the other amenities available to guests. BreakFree on George features tour/ticket assistance, multilingual staff, and laundry facilities. Public areas are equipped with complimentary wireless Internet access. This Haymarket apartment also offers limo/town car service, express check-out, and an elevator (lift). Parking is available onsite for a surcharge. BreakFree on George is a smoke-free property.